I was born in 1962 and grew up in Clarkston, a small town that's just outside of Atlanta, Georgia. I loved to climb trees, go barefoot, wade in the creek behind my house, ride my bike, and spy on the neighborhood boys. The weather in Georgia is hot most of the year, and we didn't have air conditioning in our home. One of my favorite things to do was bike to the Decatur library where they had cold air and shelves and shelves of stories for me to read. My librarian knew just the books I liked: adventurous history stories like Island of the Blue Dolphin by Scott O'Dell or Laura Ingles Wilder's Little House on the Prarie. I also loved books about sassy girls like Queeny Peavy by Robert Burch and Pipi Longstockings by Astrid Lingren. 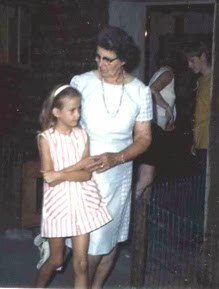 I learned about making up stories from my Grandmama, Julia Kate. She told us grandkids her own stories of tricksters, plait eyes, gremlins, and ghosts. And she told us stories she had heard growing up on a farm in South Georgia about Bru' Rabbit, Bru' Fox and Sis' Goose. I learned about writing from Mrs. Henley who was the meanest teacher at my school... but also one of the best. She demanded nothing less than our best work and used her red pen a lot. A gold star from Mrs. Henley meant something special because she didn't give out many. These days I live not far from where I grew up. 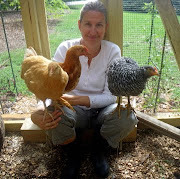 I have a husband and two sons, a dog, and a flock of pet chickens in my backyard. I still like to go barefoot and I visit the same library I did as a kid. There are always more books waiting there for me to discover, and it's exciting to see the books I have written on the shelves with my favorites.